If there was one place that was typically Kimberley, then many would say it has to be the Gibb River Road. Having first visited the Gibb in the early 1990s, there is no doubt that it has drawn us back time and time again, and I don’t think that will change any time soon! The Gibb stretches 660km, and in fact could be driven from one end to the other in around two days. But you won’t want to do that when you’ll miss all the sensational attractions! Located all along the Gibb are numerous stations that are open to the visiting public, and they offer all sorts of facilities and attractions. 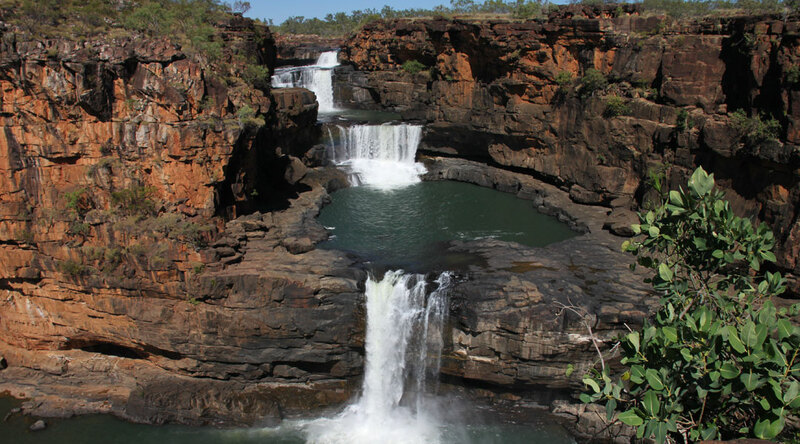 Whether you’re looking for bush camping or five star, 4WD tracks, casual or restaurant type meals, gorges for swimming or canoeing, horse riding, and fishing, the Gibb River Road has the lot. Some stations are located less than 5kms off the main road, whereas others can be anywhere from 10-100kms. Many people ask us how long they should allow for doing the Gibb, and our answer is always the same…”as long as you can”! It’s a long way to travel to if you’re coming from the eastern states, so you’ll want to allow at least 2-3 weeks up here to make it worthwhile. I’m sure Gibb River Road visitors have their favourite gorges to visit, but I actually love them all. Some take as little as 10 minutes to walk to, whereas others can take an hour, or longer. So before embarking on any walk, ensure you’re wearing walking shoes, a hat and sunscreen, and take plenty of water, as there are a few walks where you can be walking in full sun. Also consider the time of year when you’d like to visit the Gibb River Road. If you want to take the opportunity to swim and see gorges with flowing waterfalls, then the best time is just after the wet season when the road has opened. Peak times are July and August, especially during July school holidays. If you’re unable to visit until late in the dry season, the gorges will still look good, but water is no longer flowing and can be stagnant. The Gibb’s road conditions can vary and generally are very good as it’s well maintained these days. Ensure you run with correct tyre pressures for your set up and don’t be tempted to speed when road conditions are favourable as we’ve seen a few rollovers over the years. It can be a very costly exercise if you need help! The tracks leading off to the stations and attractions can be a little slow going at times as they are maintained by the stations themselves. 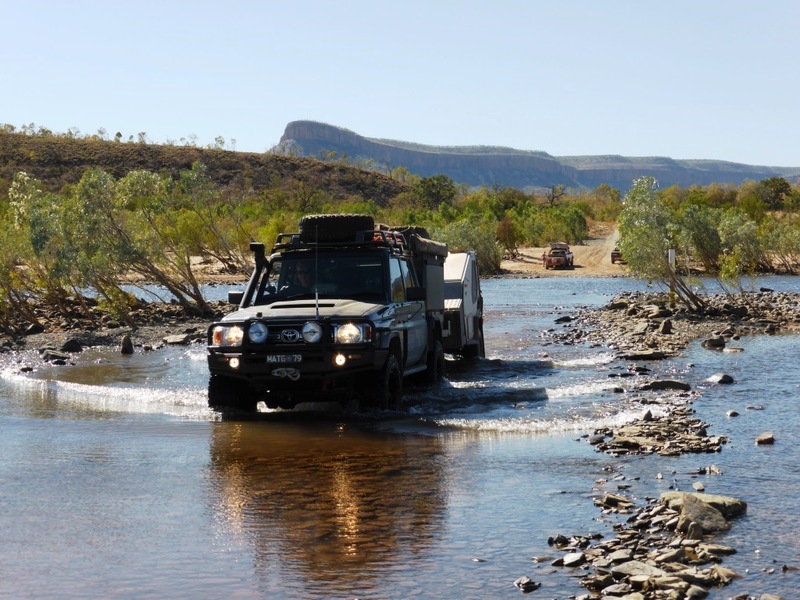 The Kalumburu Road which also leads off the Gibb is one of the last roads in the Kimberley to be opened each year. If you plan to visit Mitchell Falls and Kalumburu, make enquiries with the Visitor Centres to ensure the road is open prior to your visit. The Mitchell Falls track can be a doozy at times. It’s only 86km off the Kalumburu Road, but you’ll need to allow at least two hours. Time your visit early in the dry season if you want to see the waterfalls flowing. It’s about a two hour walk to the falls from the campground and is best done early in the day to avoid daytime heat. You can even arrange a return flight to the campground by helicopter which gives you a completely different perspective of the falls when they’re seen from the air. Fishing lovers will want to travel that bit further to Kalumburu where some people set up for weeks. Set yourself up at either McGowans Island or Honeymoon Bay for simply phenomenal fishing. Both places offer basic camping facilities and watching the stunning Kimberley sunsets from here is something you’ll never tire of. The community museum is also one of the best we’ve come across when travelling Australia, so check it out while you’re there. You can’t visit the Gibb River Road region without calling into Windjana Gorge and Tunnel Creek. Camping facilities at Windjana Gorge are excellent with flushing toilets and solar showers provided. 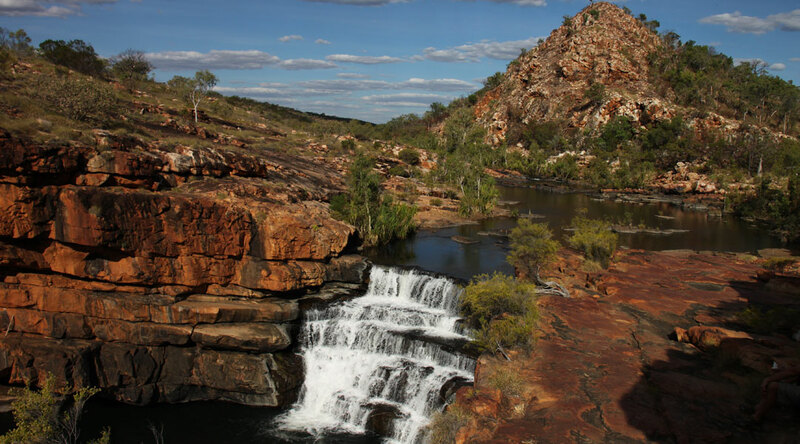 The gorge is home to the largest number of freshwater crocodiles in the Kimberley, so the kids will definitely love being able to see these creatures in their natural habitat. Just don’t get too close! It’s advisable to hike into the gorge either first thing in the morning or later in the day. It’s cooler at these times and you’re likely to see more birdlife/wildlife. Tunnel Creek would be one of my favourite attractions in the Kimberley for many reasons. Make sure you wear some water-type shoes and take a good torch as you’ll be walking through an amazing limestone cave for nearly 800 metres. The water levels in the tunnel can range anywhere from ankle to waist height, so be prepared to get wet. It’s a lot of fun! 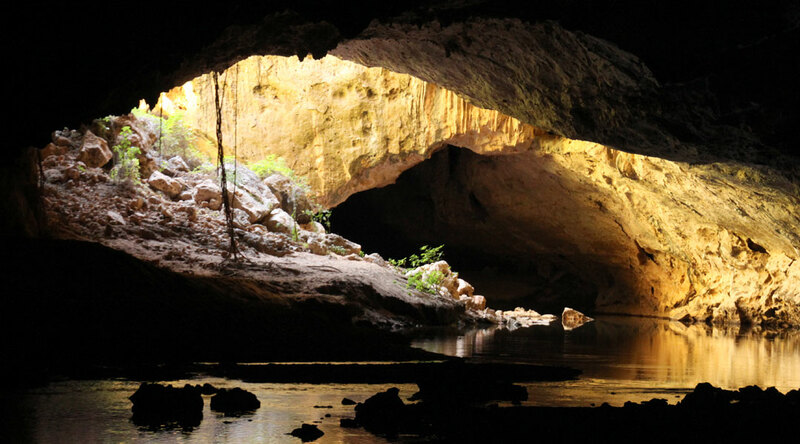 Don’t forget to shine your torch around the walls of the cave as Tunnel Creek is home to Australia’s only carnivorous bat! To maximise your time travelling the Gibb River Road, do your research beforehand. Check out our unique audio travel guide which provides loads of attraction details, facilities and travel tips.